“I read The Stand under my bed when I was 12, and my Baptist parents burned it in our fireplace upon discovery. Incensed, I stole my Dad’s FedEx account number and mailed King a letter professing my love for his work. Several weeks later, I came home to find a box had arrived from Maine, and inside were several books, each inscribed with a beautiful note from god himself, who encouraged me in my writing and thanked me for being a fan. My parents, genuinely moved by King’s kindness and generosity, lifted the ban on his books that very day. I wrote King a cameo as himself in my first film and have been working to bring The Stand to the screen for five years. The book has been adapted in the past, as a four-part miniseries on ABC back in 1994. Boone is best known for directing The Fault in Our Stars. He also wrote and directed his feature debut, 2012’s Stuck in Love. His next release is the X-Men horror spinoff The New Mutants, which he directed and co-wrote with Knate Lee. He also has another King project in the works, an adaptation of The Talisman. Cavell is creator, executive producer, and writer on the CBS TV series SEAL Team. He also wrote and executive produced episodes of Sneaky Pete, Homeland, and Justified. 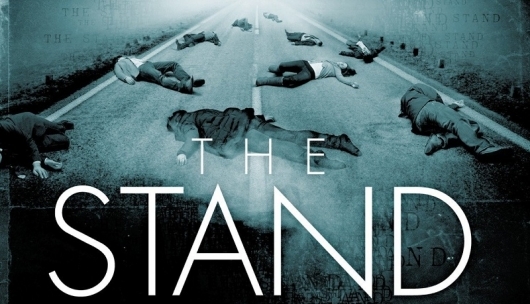 A new adaptation of The Stand has been in the works for a while now, with various talent attached over the years. Back in 2011, Harry Potter duo David Yates and Steve Kloves were set to take on the adaptation. Then, after Yates and Kloves departed, Warner Bros. brought in Ben Affleck to direct and later hired David Kajganich to write before things shifted over to making into a series instead of a movie. No release window for CBS All Access’s The Stand has been announced yet.